Just Santa...Only Santa...Yea! 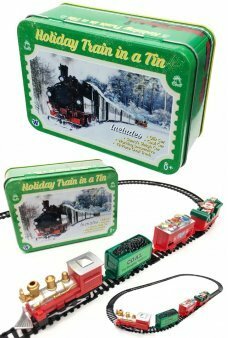 It's Santa Stuff - Enjoy December 25 - all year round! Our cute Santa Claus rides his train in anticipation of the big day. Santa wears his red suit in his little fast moving .. 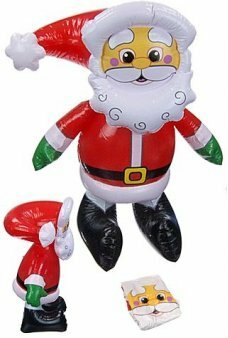 It's a cute clear Jolly Santa Claus that you can hang on your tree! 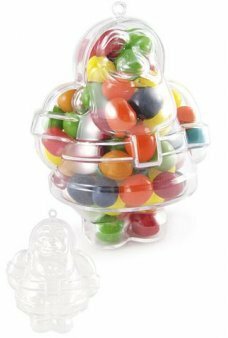 Our classic candy jar and ornament is shiny clear pl..
Pose our classic retro Santa and Friends Flexible Figures. 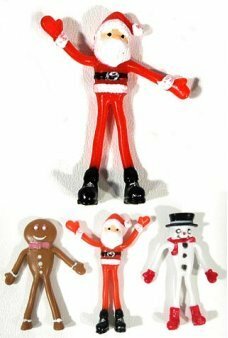 Santa, Snowman, and Gingerbread man have bendable arms and le..
Decorate your Christmas tree with a Christmas Retro TV! Our adorable 1950’s Retro TV shows Santa meeting a child on Chri..
Jolly Santa Claus is ready for Christmas. Our colorful Santa stands happily with his red suit and curved red hat . 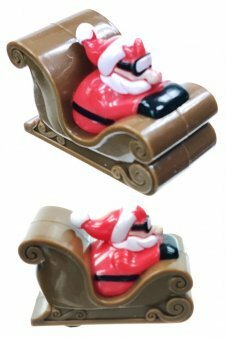 Stand..
You can help Santa find the Naughty Boys and Girls with our classic Lump o’Coal Naughty Gum. Our pretty embossed red rou..
Our cute Santa Claus rides his Reindeer practicing for the dig day. 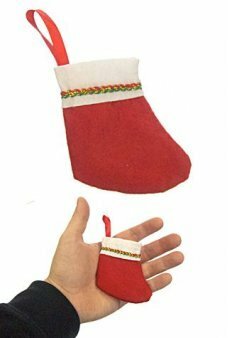 Santa wears his red suit and carries a small toy bag.. 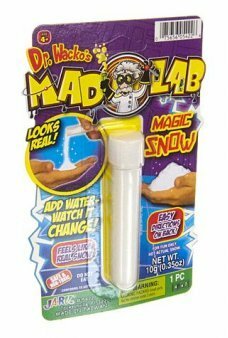 Remember watching Frosty the Snowman on TV? 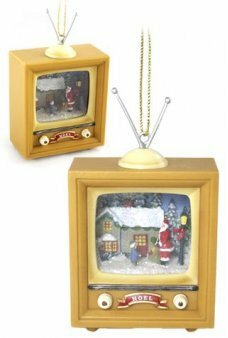 Our adorable retro TV features an image of children making a Snowman -..
Our Chrsitmas Dragonflies really lift off, indoors and outside! 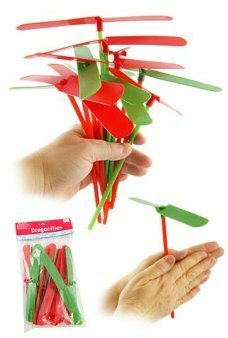 Just move your hands in opposite directions and our ligh..
Just like Santa's real Christmas delivery vehicle! 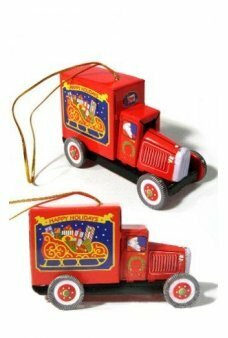 The all-tin red truck features an image of Santa's traditional sleigh.. 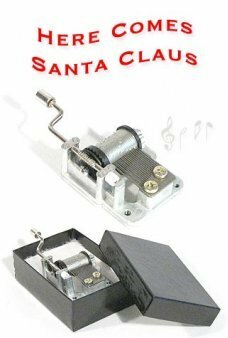 The classic tin wind-up Santa Claus. 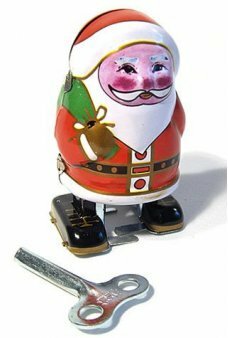 Wind up Rosy Cheeks Santa and he waddles side to side. Could there be gifts in the ..
Just pull back Santa’s Sleigh and he quickly races away. Santa wears goggles as he rockets on his fancy brown Super Sled..
Let's have a Christmas Race! Which gift is the fastest? Just pull back on the red and green holiday boxes and let the ra..
Holiday Icicle is a glimmering light blue putty infused with icy glittery shine. A reissue of a 2002 favorite, it g..
Evergreen is a forest green holiday putty with a hint of snowy sparkle. 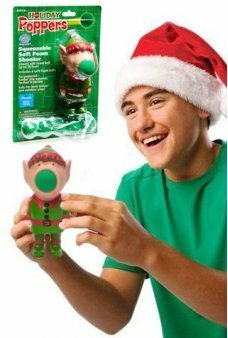 This scented putty smells just like a fresh..
​Our special Holiday Ornament is a deep, shining red Thinking Putty with golden glitter shimmering throughout. 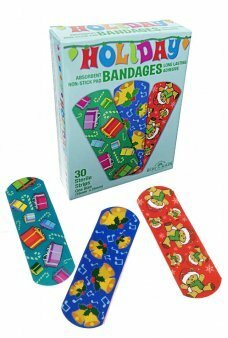 The ..
Cover your holiday boo boos with Christmas Holiday Bandages! 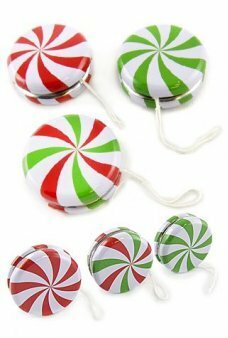 Our colorful bandages include images of Bells, Bears,..
You get 1 red Santa and 1 blue Snowman in this adorable Christmas Yo-Yo's set. 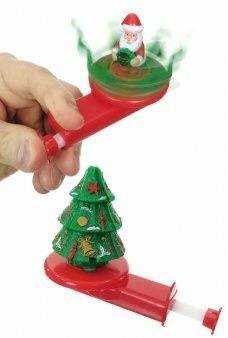 Our high quality tin toy Yo-Yo’s come rea..
Pose our classic retro Santa's Reindeer Flexible Figures. 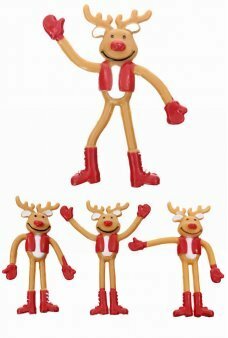 These 3 Reindeer have bendable arms and legs to express their ..
You get four adorable mini Santas as glass tree ornaments in four fun poses! 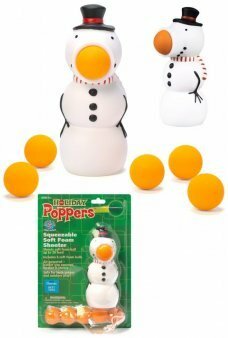 Our set of colorful toy ornaments features .. Enjoy PEZ candy with this original PEZ dispenser with 50 rolls of candy in this Limited Edition Retro PEZ Tin! The..